is a small organic CSA farm located on River Road in beautiful Hillsboro, Oregon. At Working Hands Farm we work in conjunction with nature utilizing farming methods such as, cover cropping, integrated pest management, inter-planting, composting, etc…. These methods are the foundation of our farm, it is by mimicking the natural state that our crops originated from we can grow without the use of pesticides, fungicides and herbicides. We believe that it is essential to feed our community safe and nutritious fruits & vegetables. Our farm specializes in growing varietals that should inspire new gastronomic adventures in all of the households we feed. Working Hands Farm was started in 2010 by Brian (Martin) Powers, a Portland native, with the goal of bringing a new perspective to our urban farming community. We invite you all out to the farm to come see and experience how we are doing things differently. 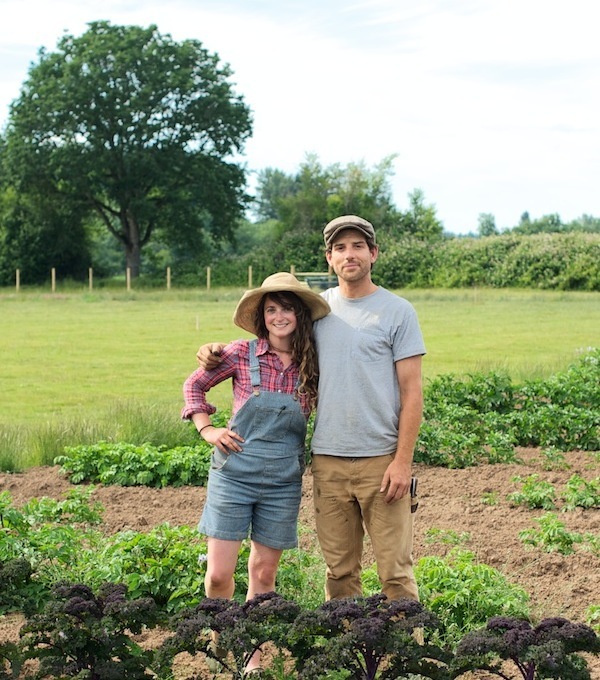 Farmer Brian was born and raised in Portland, Oregon and will forever call it his home. He attended the University of Oregon for his formal education and received B.A. in English Literature in 2007. He has since spent the majority of his time abroad on a variety of humanitarian projects: starting as a volunteer in Argentina while studying spanish, then working professionally in Uganda (where he had his very first garden) and most recently working in Haiti. These experiences have served as a catalyst in his life and in many ways are what lead to the birth of the farm, moving from chaos and contradictions to the peace of meditative labour, one giving strength to the other and back again. Brian started Working Hands Farm in 2010 and with the support from his friends, his family and his CSA members he hopes to farm for the rest of his life. Farmer Jess hails from the far off land (and man made island) of Cape Cod, Massachusetts. Farming is at the heart of who she is. 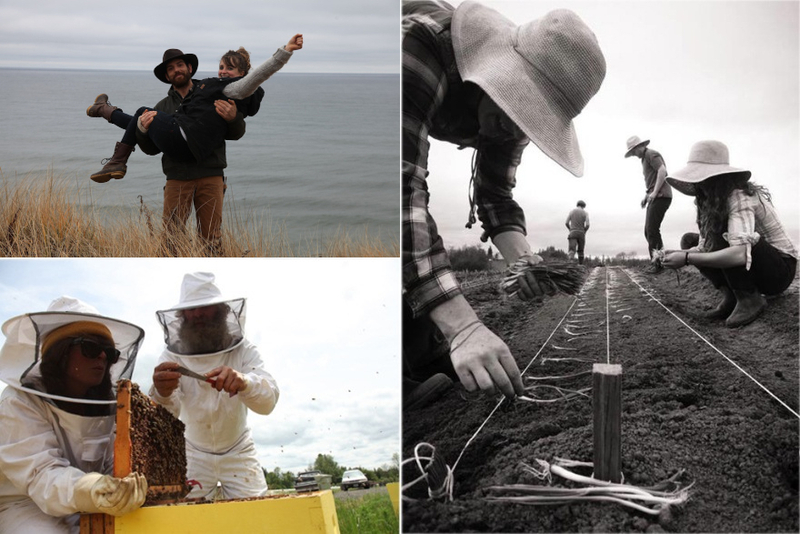 She’s been getting her hands dirty from a young age beside her father the commercial fisherman, farmer, beekeeper and avid hunter. Her mom is known as the flower lady back home, selling her bouquets of flowers at their family’s honor system flower cart. They both taught her about the importance of being self sufficient and being in touch with the land around you. So, after graduating college with a communication arts degree and moving to the big city of Montreal, Quebec she found herself wanting to get back to the land. She realized just how sustainable life was growing up and how disconnected our culture is from the food we eat. In 2008, she moved back east to work alongside Jean Iverson, a 90 year old organic farmer back home, and the rest is history. She’s been working on organic farms ever since, from the east coast to the west, to the Big Island of Hawaii and back home to where she started Powers Flowers & Produce. 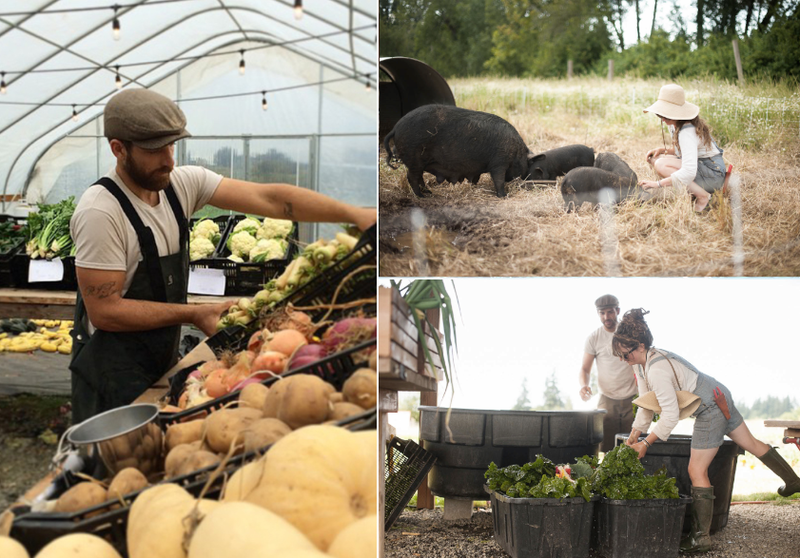 Farming, for her, is a way to grow and provide fresh, local produce for the community, connect with neighbors and to stimulate and inspire the heart of local culture. And she couldn’t be more happy to be growing food in the beautiful state of Oregon.